CHARLOTTE HAS VALENTINE’S FUN OUTSIDE THE (CHOCOLATE) BOX | South Charlotte Newcomers! Love abounds in Charlotte for Valentine’s Day, with many choices outside the plethora of top-notch dining destinations, delicious chocolate shops and beautiful florists. If you are looking for fun way to express your love on Valentine’s Day with family and friends, Charlotte is bursting with exciting activities outside the (chocolate) box! Family Day Saturday at the Bechtler Museum of Modern Art is a great way to artistically celebrate your love! Spend the day exploring modern art with special hands-on activities including kids self-portraits, creating Valentine’s cards and sketching still-life visions. The Charlotte Symphony loves kids and invites younger Valentines to join in the fun at the Lollipops Concert. A pre concert Lollipop Festival including a drum circle, “musical petting zoo” and crafts will be sure to delight! Festival starts at 10:00 am. At the Knight Theater in uptown. The American Girl Store at the luxurious Southpark Mall will be offering Valentine crafts for your doll baby! Make your lunch reservations and enjoy a free Valentine craft. Pets are a loving part of many Charlotte families! Canine Café is offering a FUREVER LOVE WASH with HSC YAPS on February 14th. Your beloved pup will enjoy a luxurious bath, Doggy Daiquiri and Valentine’s Day biscuit. All proceeds go to the Humane Society of Charlotte. Adults wanting to celebrate love with Charlotte’s art scene will enjoy the classic and romantic The Phantom of the Opera. Through February 15th at Belk Theater. This is a much-anticipated new, North American tour presentation! Feeling a little naughty on Valentine’s? Run for charity at the Cupid’s Undie Run benefitting the Children’s Tumor Foundation. Running in your skivvies might be chilly, but this extremely popular charity event makes it worth the shivering! Doors open at noon on February 14th at Rooftop 210. Valentine shivering can also be a well-worth-it experience at the US National White Water Center’s Frigid 5k Run and Plunge. Runner’s categories go from 14-under to 55-better. Exercise your heart muscle at the Cupid’s Cup and 1-mile walk! Takes place on Valentine’s Day in the beautiful historic Dilworth neighborhood. The fun benefits CMC Cardiac Rehab programs. Flowers are always a wonderful expression of love! The Nectar Flower Truck will save you the trip to the flower shop! Pre order an arrangement or purchase a beautiful” bouquet of the day”. The fragrant truck will visit Ballantyne Corporate Park on February 12th and 13th. Valentine foodies will love participating in their choice of three live “ Cooking at the Chef’s Table” at the 7th Street Public Market. These palate-stimulating demonstrations by Chef Geoff Bragg include wine pairings from the Assorted Table Wine Shop. February 13th-15th. Love in the Queen City is artistic, running, singing and creating. 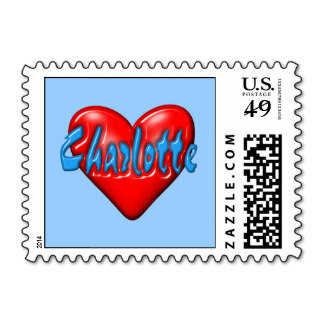 Happy Valentine’s Day Charlotte! Studio Cellar is having Date Night specials from February 10th-14th! Our Valentine’s Day packages are 2 panel paintings with each person painting their own painting, but the picture isn’t complete until it’s put together. Wine and beer sold on site. Special treats included!